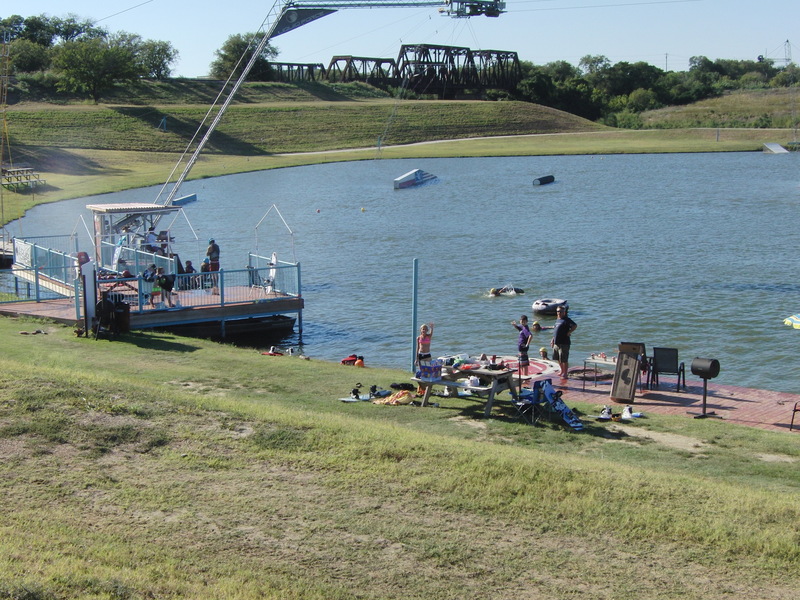 Cowtown Wake Park is closed due to flooding. 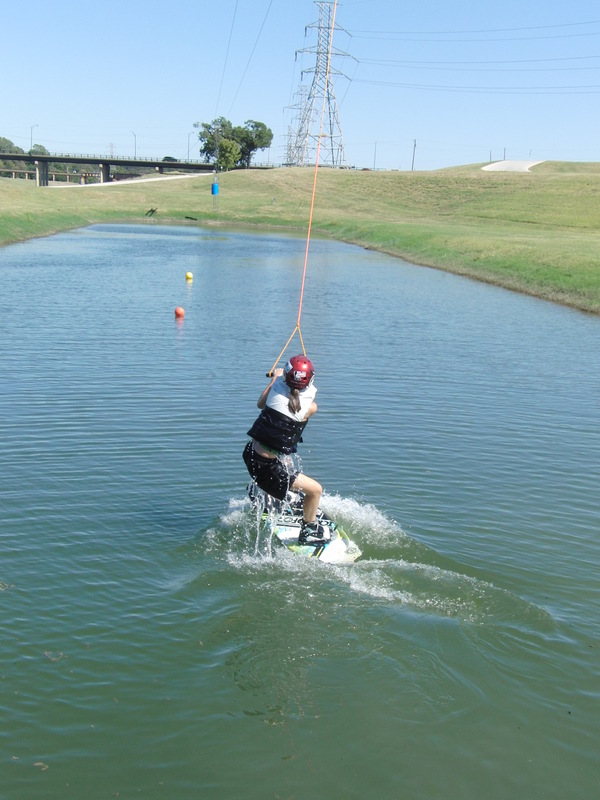 It is planned to reopen as Republic Wakepark DFW, when it’s not flooding. Stay Tuned. Come back. 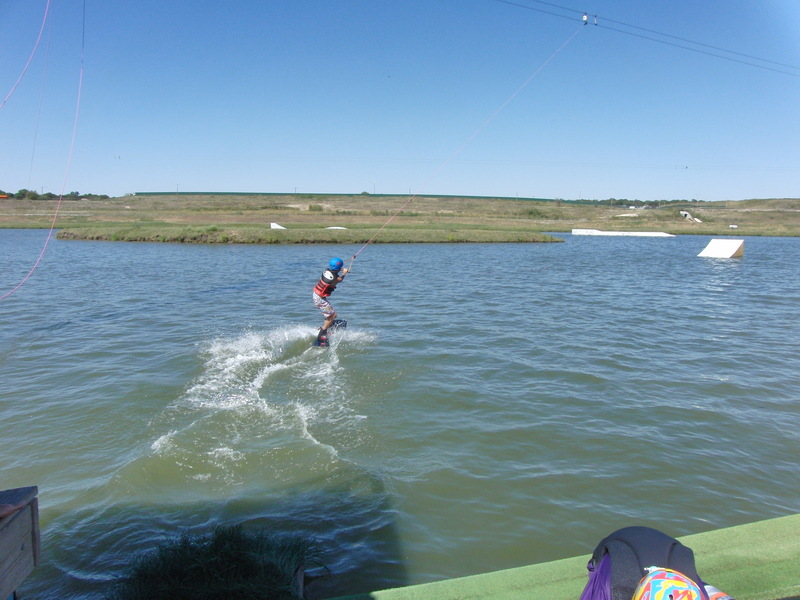 For my daughter’s 12th birthday, we headed out to Cowtown Wake Park to celebrate and get a little relief from the hot summer sun! 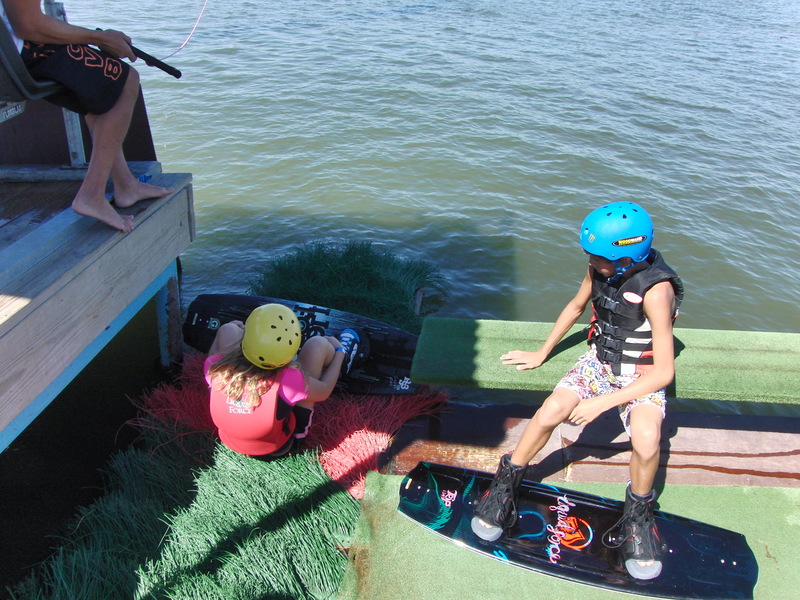 Some of her friends came with their own wakeboards, and some had never been in a lake, so it was a neat mix of friends! All the kids had a blast, it was a super easy party for me, and a great Sunday to sit out and watch the kids play! Everyone is required to fill out a waiver, which you can do online. 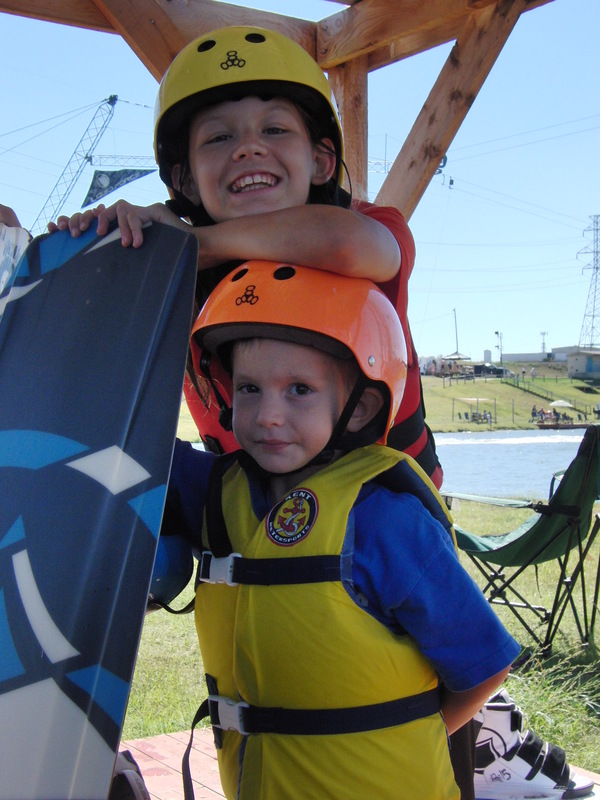 Cowtown rents life jackets and helmets, but you can also bring your own. I prefer the way my youngest son’s own life jacket fits him. Bring an ice chest filled with cold drinks and snacks! 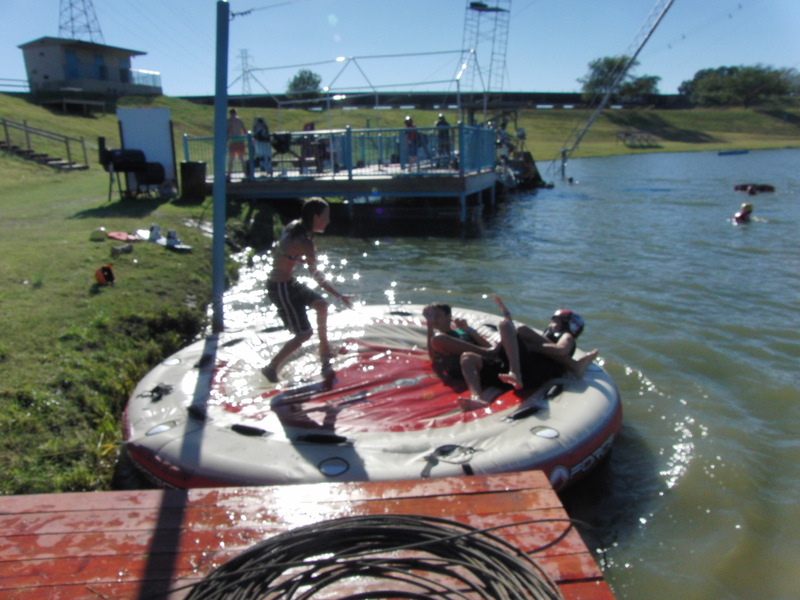 If you have never been to a cable park, let me explain. 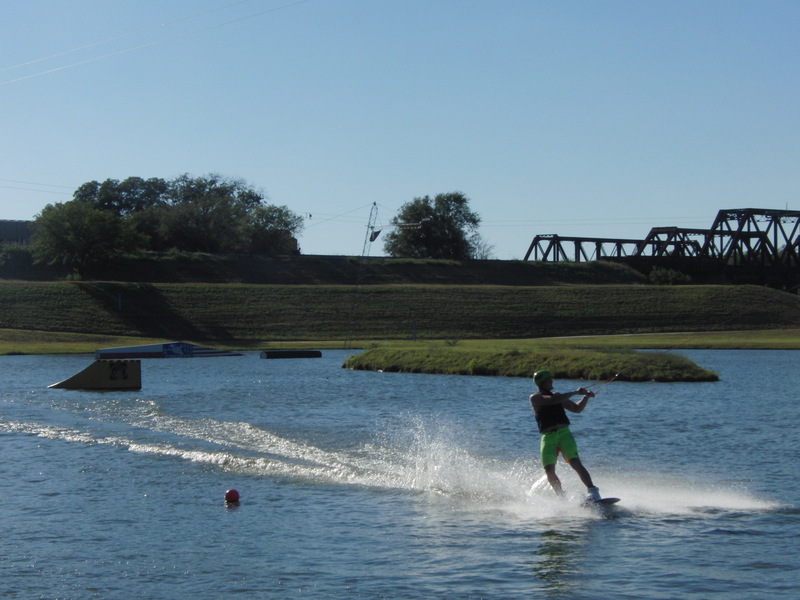 Cables run around the lake, pulling a wakeboarder similar to the way a boat would. The difference is that the cables are higher than the rope on a boat. 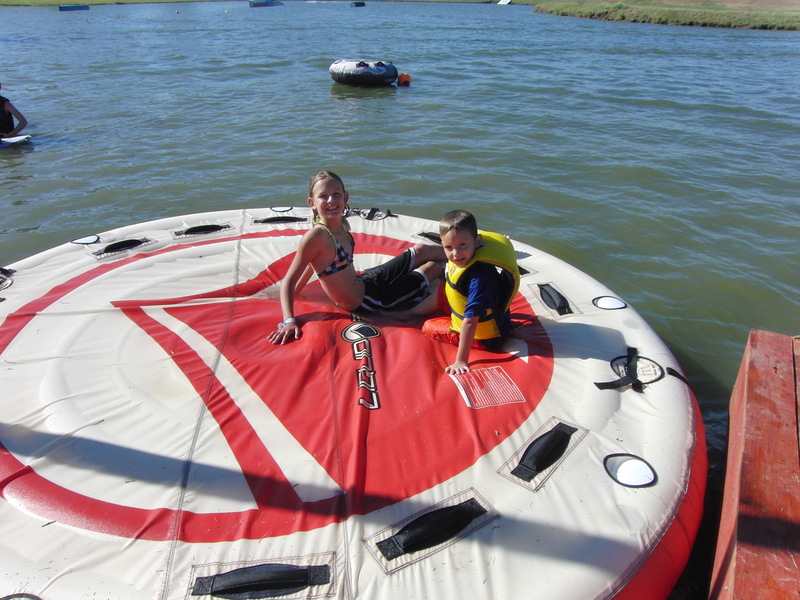 Since you don’t have to worry about other boats on the lake, it’s much safer than being out on the water, especially for beginners! It takes going around a few times to get the hang of it! But once they do, the kids are so proud of themselves! There are two lakes a Cowtown, which sits right off the Trinity River. The large lake has cables that pull in a large circle, and the smaller lake is for those just learning. It’s also where they do birthday parties for kids! . I procrastinated a little too much, and wasn’t able to get a birthday party scheduled at Cowtown, they already had one booked. However, we just brought out the kids and purchased a 4 Hour Youth Pass, for kids 12 and under! We still had use of one of the picnic tables around the lake, and time in the smaller lake. The smaller lake is straight, with no turns. 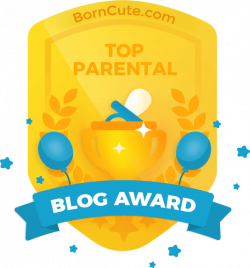 It’s much easier for younger kids and those just learning! Four hours is a long time, so the kids took a break to eat lunch and have cake, then played on the shores, too! They threw a football and just ran around exploring. They had a couple covered tables, but if you have it, bring an EZ-up and chairs for shade during breaks. It’s nice because then you can move to where you want around the lake. Otherwise, try to get there early to grab one of the covered tables! 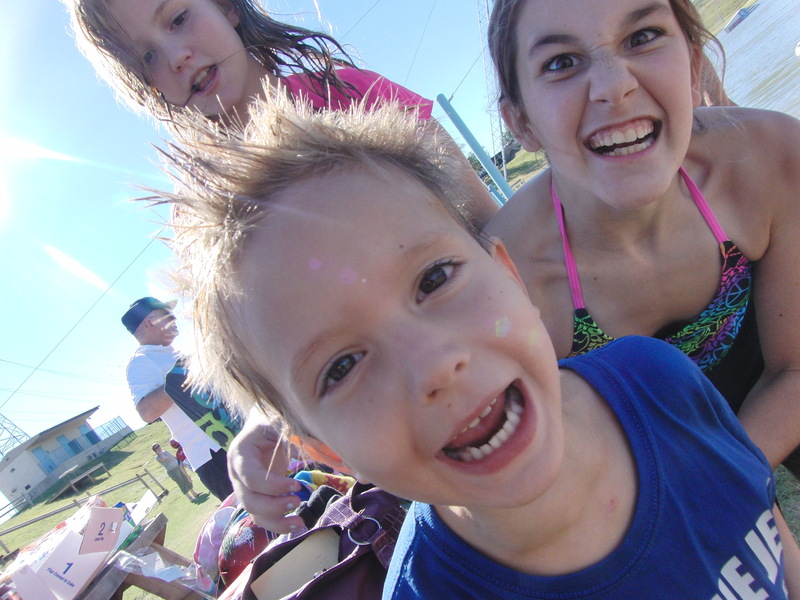 The kids wanted to just PLAY in the water, too! There was a big float that they sat on and pushed each other off. They had a blast! 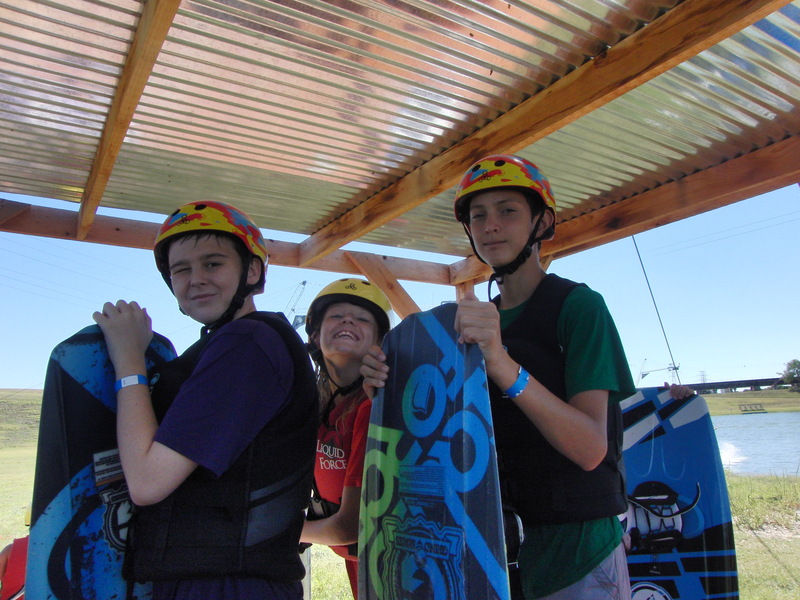 Cowtown also has 4 Hour Family Deals for up to 6 people, Week Day Learn to Ride Programs and even Summer Camps! Panther Island Pavilion on the Trinity River has great events like Sunday Funday and Rockin’ the River on Thursday nights! Sunday Fundays have paddleboards, kayak and inner tube rentals. Thursday nights may have lots of kids, but it’s more of an adult thing. Click HERE for more information.